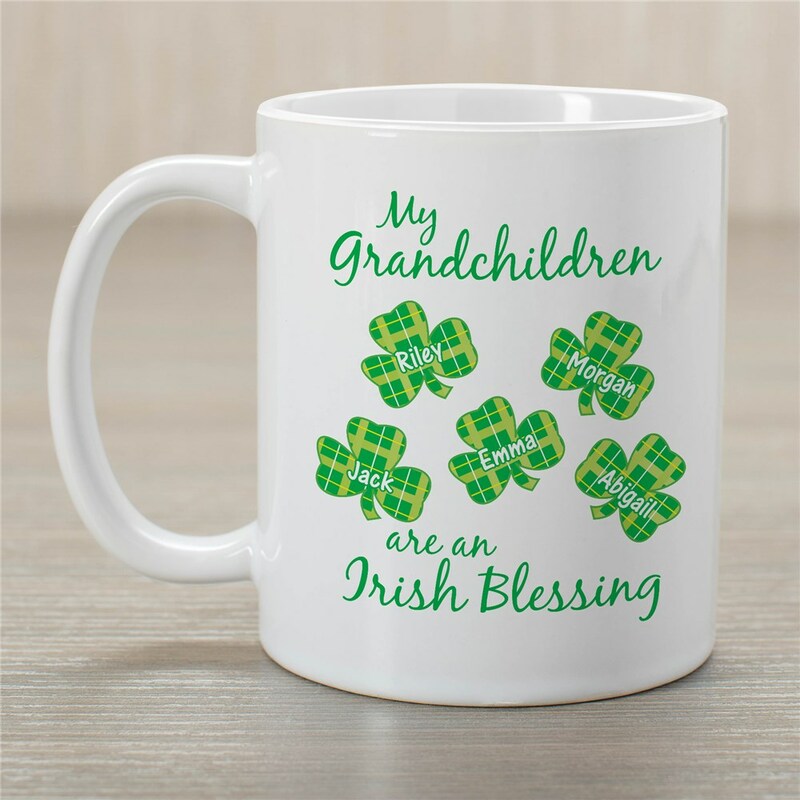 Give your Irish Grandmother the perfect Irish gift this St. Patrick's Day by creating Blessings Customizable Coffee Mugs displaying all her little shamrocks. These Personalized Mugs are available on our dishwasher safe 11 oz. coffee mug. Includes FREE Personalization! Personalize your Irish Blessings Mug with any title and up to 30 names.